Media Commons makes available a wide range of technical tutorials on the different hardware and software that you or your students might encounter in and out of our spaces while working on an audio or video project. From green screen to iMovie to publishing to Box (and more), we’ve got you covered. We also offer, though, another class of tutorials that cover the ins and outs of storytelling and of completing the required most useful planning steps along the way – as well guides to creating common types of projects. We have four project planning and production tutorials that will get everyone organized and help to ensure that their work looks and sounds great. The Storyboarding tutorial is the best place to start, as it walks beginners through the “why” of creating the visual roadmap for their video and then continues through showing real examples and how they transformed into a finished product as well as providing a great template to use individually or in groups. 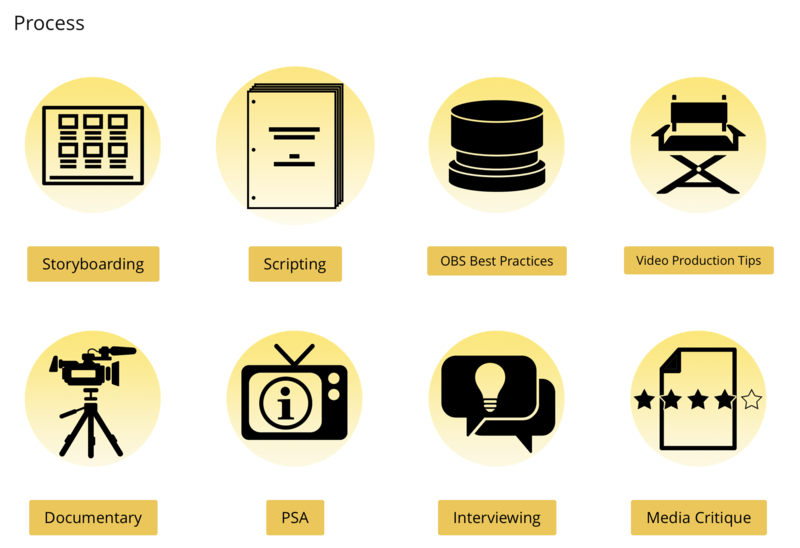 The Scripting tutorial offers guidance from sources the CDS and PBS on the techniques employed to write a script professionally. Additional instruction on formatting and tips on making your life easier when recording narration from script can also be found here as well as more of those real world samples. Both the OBS Best Practices and Video Production Tips tutorials aim to give start to finish, basics to advanced considerations tips and suggestions to those getting ready to record. From what to wear when in the studio to considerations for lighting and sound in the field and much more, these will ensure a polished product. We have four project genre-focused tutorials that give insights and inspirations on creating the most common types of assignments. The Documentary tutorial acts as a recipe that covers everything one should consider when building an informative, concise research-based video project, from Project Planning all the way through Post-Production. The PSA provides up top a review of what makes for an effective public service announcement and then provides examples of three effective types or styles to consider. 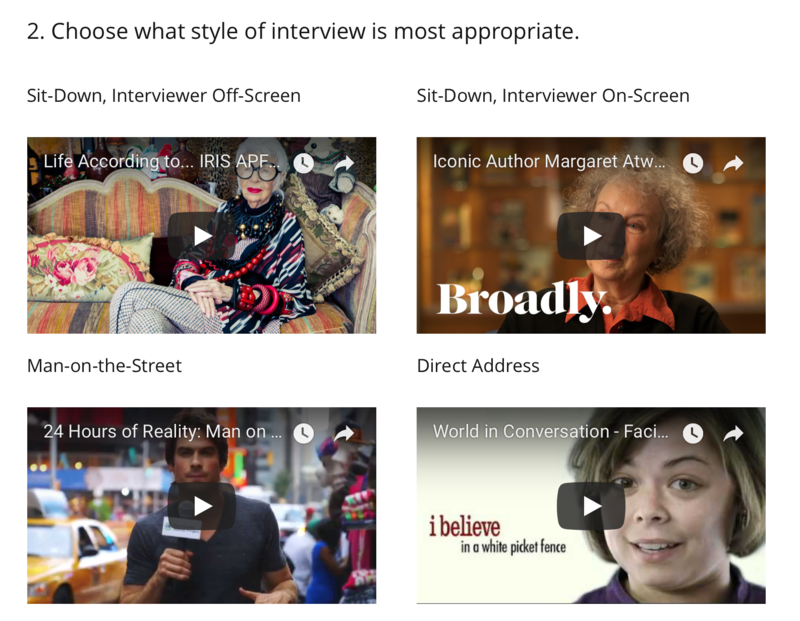 Interviewing is a critical aspect of many videos that students produce and our tutorial on the topic focuses on these elements – whether they be the entire finished product or just portions there-in – in detail. A literal checklist helps keep everyone on track day-of. The Media Critique tutorial is example-heavy, but only because this type of assignment is so all-encompassing. Each sample includes a time-stamped list of what works well for students to review. Resources for acquiring content, citing sources and the like are also laid out clearly in the write up. to your class to talk about them – and the techniques they contain.